Home-made ice cream! 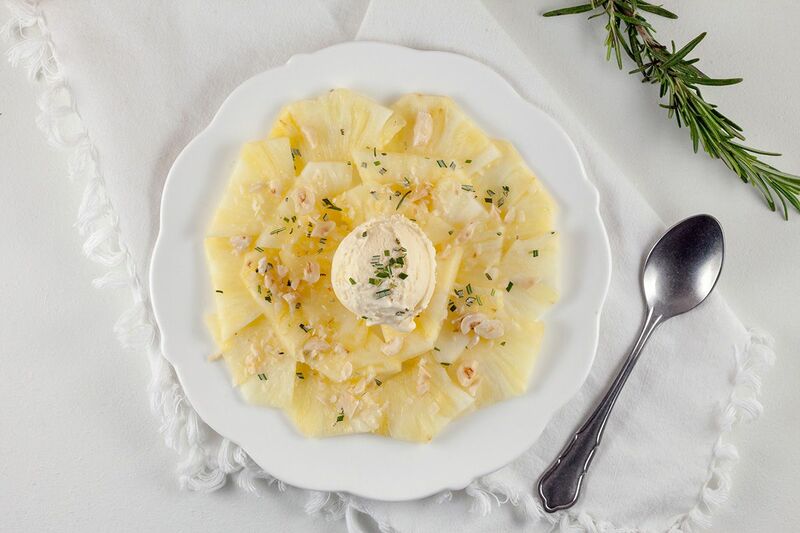 So many delicious flavors in this pineapple carpaccio and rosemary ice cream, great in any season! Ready in 50 minutes. 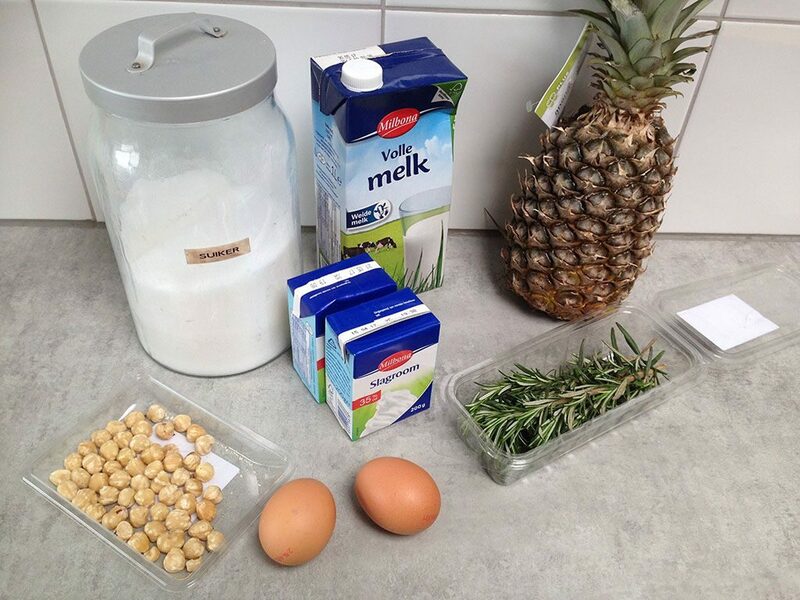 HEAT up the milk, cream and 1 twig of rosemary on low heat using the small saucepan. LEAVE for about 10 minutes to allow the flavors of the rosemary to blend well. BEAT the egg yolks together with the sugar until pale white. RUN the creamy mixture through a sieve to remove all of the rosemary, then gradually pour the mixture into the beaten egg yolk. KEEP mixing to prevent the eggs from congealing. POUR everything back into the small saucepan on low heat, cook for a few minutes. KEEP stirring using a silicone spatula to prevent the egg from sticking to the bottom. The mixture is done when you can draw a clear and visible lime on the spatula. COVER the mixture by putting a piece of greaseproof baking paper on top. This prevents a thin milk skin from forming at the top. LET cool off to room temperature. POUR the mixture into the ice cream maker and (depending on the machine) create the ice cream in 30 minutes. MEANWHILE peel the pineapple, remove its hard-core and slice into thin slices. 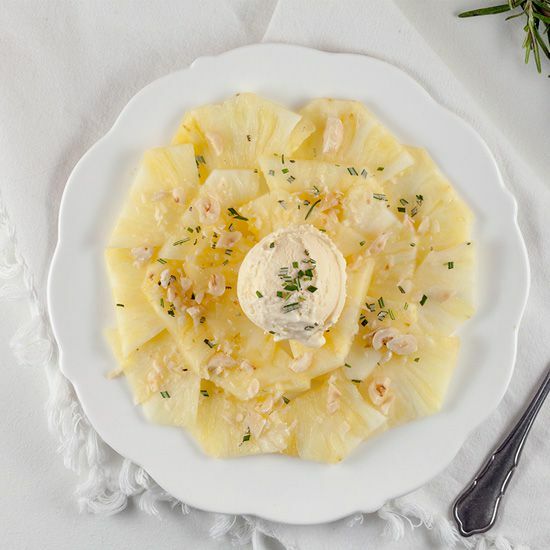 DIVIDE the pineapple slices over the plates. CHOP the hazelnuts coarse and finely chop up the leaves from the remaining rosemary. 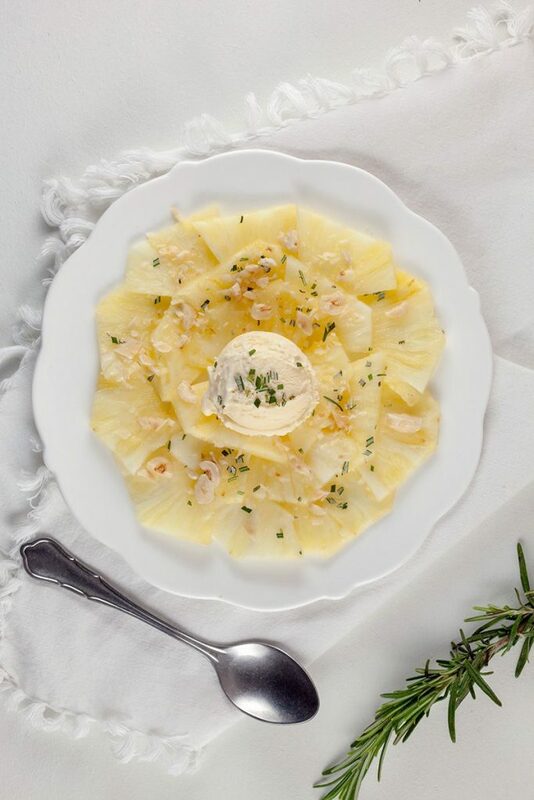 PLACE an ice cream ball in the center of the plate, then garnish using the chopped hazelnuts and rosemary. Enjoy!